H.14153 - Luxury home in heart of Ave Maria. 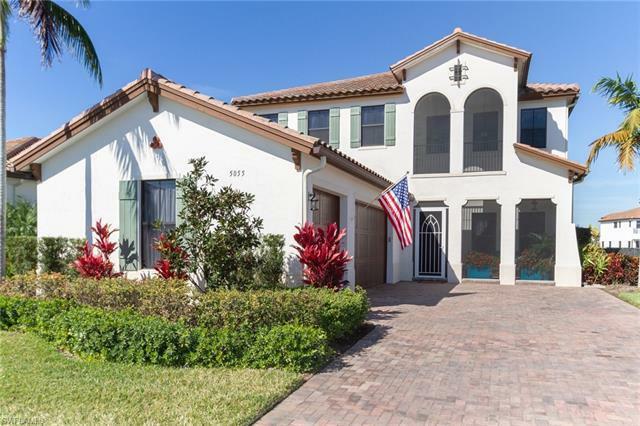 Two story home with upper balcony off master, church & lakefront views. Two-story super screen cage. Four bedroom, three bath with three car garage (outside keypad).Impact doors & windows throughout. Custom hardwood floors. Gourmet kitchen & cabinets, range with induction cook top, exterior vent fan, pull-out pan drawers, under-cabinet lighting, pendant lights, tile backslash, custom deep sink. Exceptional quality in finishes. Beverage chiller in niche, front loading washer/dryer on pedestals, attic wi-fi router, additional closet shelving, mail box on property. Custom pool, salt-water with heater, power awning, outdoor speakers, exterior flood lights, fenced yard. Home has over 50 upgrades.